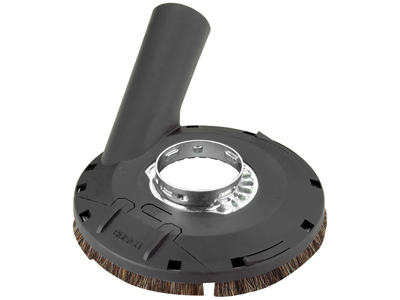 The Bosch 18SG-5E Surface Grinding Dust-Extraction Guard works with the Bosch 4-1/2 In. and 5 In. 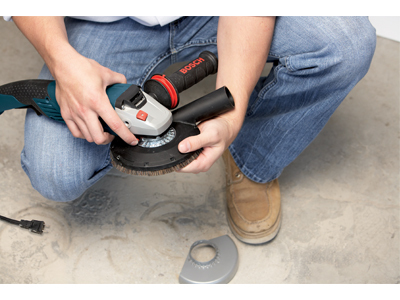 angle grinders. 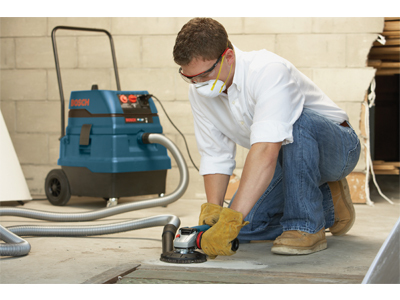 The guard and grinder can be part of the end-to-end Bosch PRO+GUARD™ Protection System, along with attachments, dust extractor and respiration protection (to be used as a basic summary; always use products in accordance with the ownerʼs manual and OSHA Rule 1926.1153 Table 1). 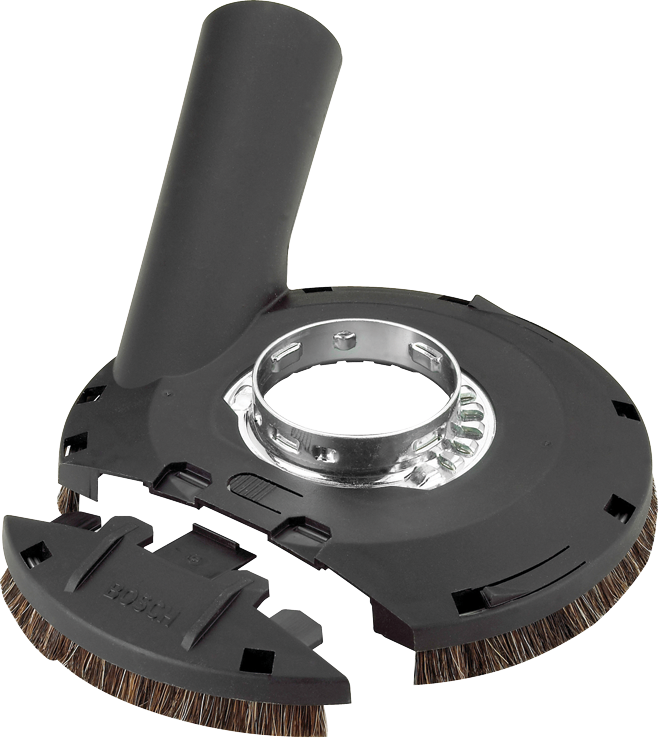 This attachment is tool free, with a removable nose piece and a replaceable brush ring for low cost maintenance. The guard is compatible with 4-1/2 In. and 5 In. 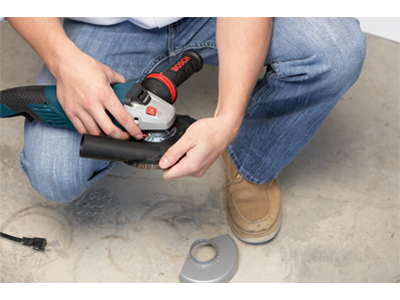 small angle grinders: GWS10-45/P/PD, GWS18 V-45C/PC/PSC, GWS13-50/VS/VSP/P/PD, AG series and 1800 series grinders. Wheel Diameter 4", 4-1/2" & 5"